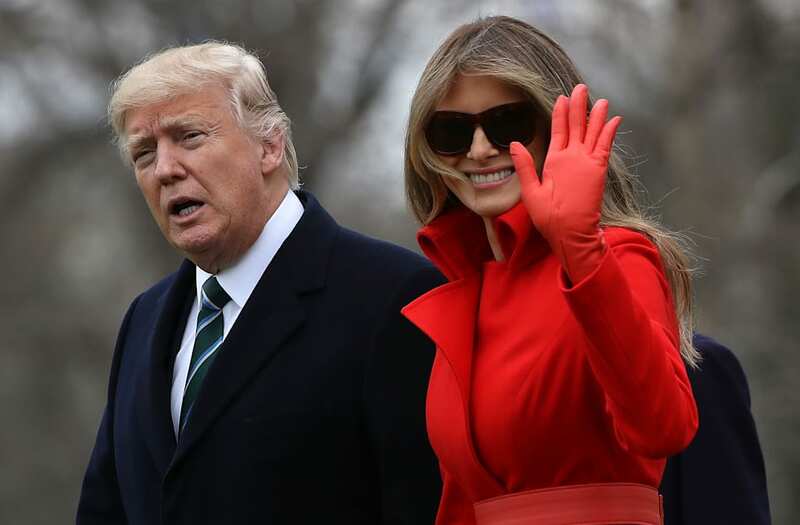 Earlier this week, the internet was taken by storm after details emerged from a US Weekly report claiming that Melania and Donald Trump kept separate bedrooms. Inside sources told the magazine that the former Slovenian model refused to sleep in the same bed as her husband, even in the rare occasion that she and the president were in the same location. "They have separate bedrooms," one Trump source was quoted in the magazine. "They never spend the night together — ever." A second Trump insider said, "Melania does not keep hidden from everyone around her how miserable she is." The allegations have since been strongly denounced by Trump's camp as false. "It's unfortunate that you are going to feature unnamed 'sources' that have provided fictional accounts," a spokesman for Melania Trump was quoted saying when reached by US Weekly for comment. However, the first couple has been living apart for much the Donald Trump's early days of presidency; approximately 200 miles apart, actually, with the president in Washington D.C. full time and the first lady residing with their son, Barron, at the Trump Tower in Manhattan. The magazine's cover story on the couple's sleeping arrangement was headlined, "Separate Bedrooms — Behind closed doors Melania and Donald Trump give each other lots of space and continue to live very much apart." According to a "family source," as quoted by the magazine, "Melania wants as little to do with Donald as possible." "She is not interested in Donald, the presidency or anything involving him."